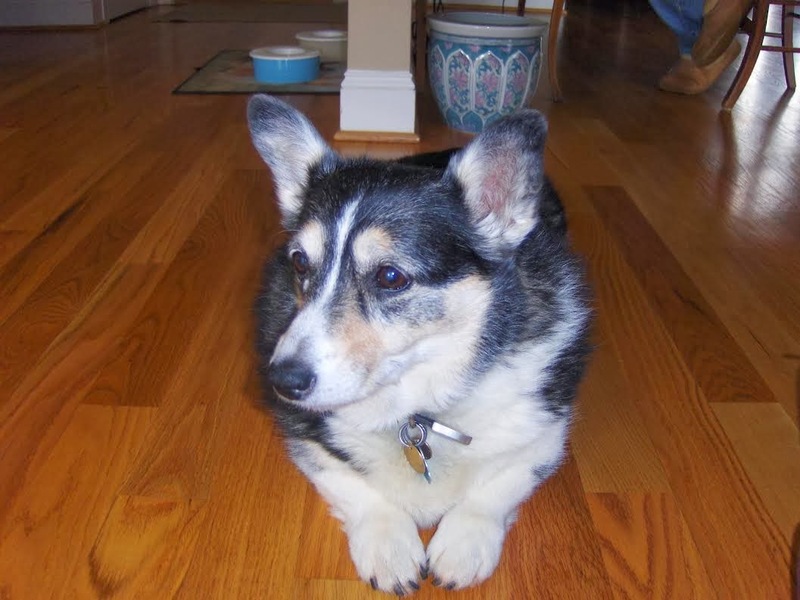 Thursday #Corgi Adoptables: Bully, Doty and Good News for Spike! Kansas cuties Bully and Doty are a package deal. Where one goes, the other must follow. These four year-olds are close! Bully is an attention hog. He loves footrubs! (Meaning you rub him with your feet). He’s never been apart from Doty, and she’s not letting him out of her sight. 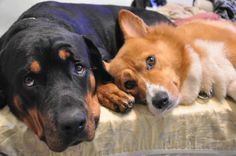 This pair comes from the same household and are currently in foster care together. Bully and Doty are like salt and pepper … meant to be together! They are fixed and current on vaccinations. If you are interested in learning more about these two and maybe applying to adopt, visit the Corgi Connection of Kansas site. Don’t live nearby? Don’t let that stop you from applying. These dogs can be transported to other states, at the adopter’s expense. Just look at those faces … worth the coin, I’d say! 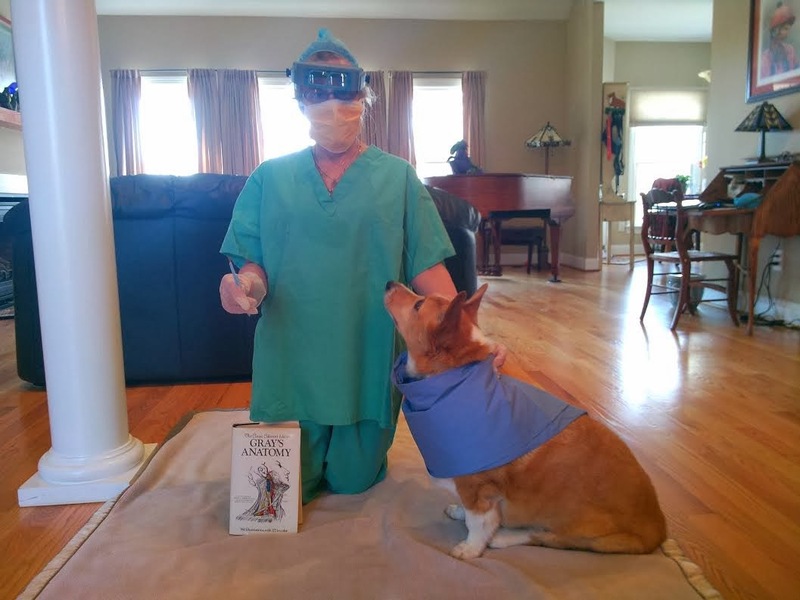 Those of you who follow The Daily Corgi on facebook will remember Spike, the rescued Corgi who needed cataract surgery to restore his eyesight. In a special guest post, today Caryl Bahner-Guin gives us the low down — and the back story — on this terrific boy. 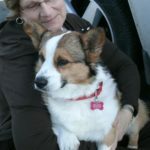 Spike came into rescue with The Pembroke Welsh Corgi Club of the Garden State (PWCCGS) because his owner had passed away. His rescue angels said he was a sweet soul. 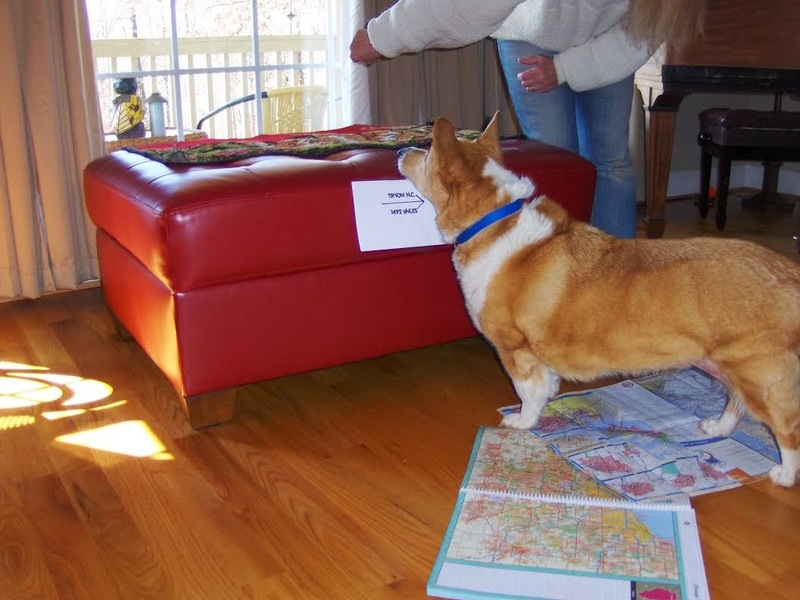 When he arrived he was overweight (57 pounds — they say he resembled a furry coffee table! ), with diabetes, and cataracts in his eyes. When he was taken to the vet they found a lump on his groin. A mast cell tumor. It was removed, Spike got the care he needed and a new foster home. But the cataracts had to go! 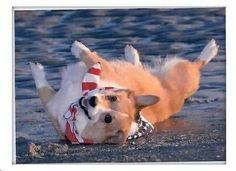 Meanwhile, Kathy M. in North Carolina was looking at Corgi puppy pictures on the internet and dreaming of puppy breath. 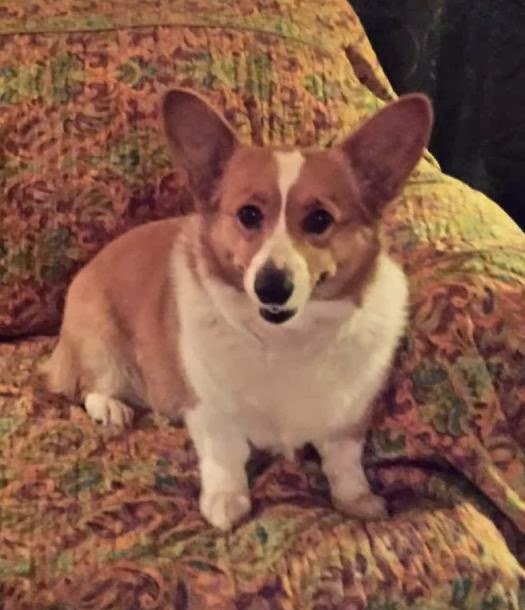 Somehow — and she’s not sure how — she ended up at the website for the Pembroke Welsh Corgi Club of the Garden State (PWCCGS), where was drawn to the rescue page and read about Spike. When she learned his owner had died, her heart dropped a bit. Poor Spike. 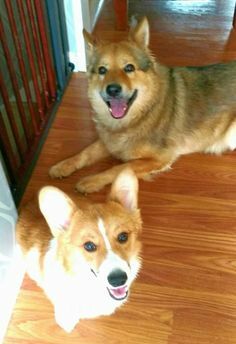 Over the next two days, she saw mementos of other Corgis in her life, and thought of Spike each time. Her husband, Tom, had been bugging her about what she wanted for Christmas. She said nothing. He kept at it. So she showed him, yup, you guessed it, Spike’s picture! And the next thing you know, Spike was on a horse van headed down to North Carolina. 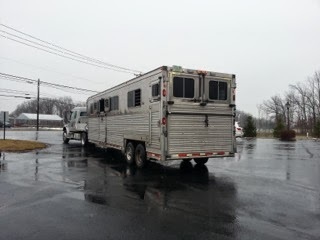 Seems Kathy’s brother transports horses for a living. So he brought Spike down to D.C., where Kathy and Tom met him. They loaded Spike in their car and headed off on the seven hour drive home to North Carolina. First order of business back at home was introducing Spike to his foster sister Pearl. As ruler of the house, Pearl has a large crate she considers her personal walk-in closet. She doesn’t sleep in it, only uses it to hide her bones and chew hooves and other goodies. Pearl decided to permit Spike to stay, as long as he remembered that she was queen! 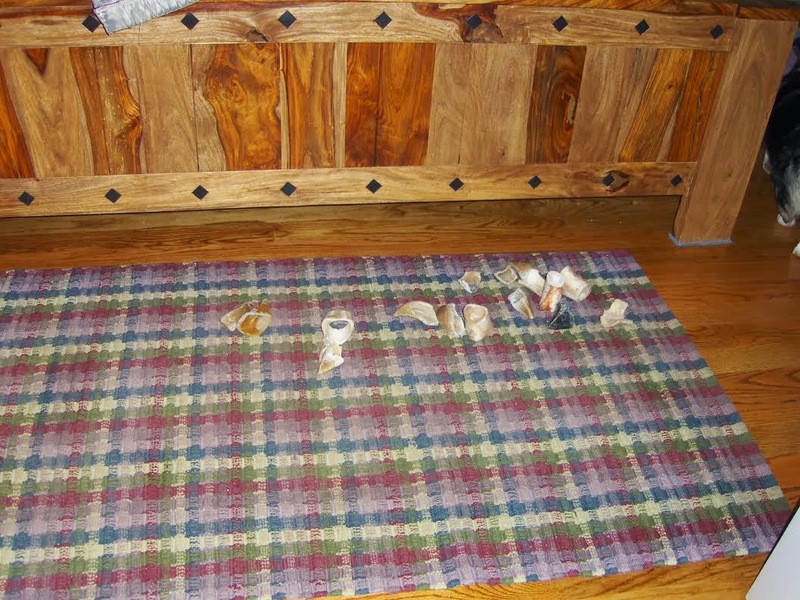 In spite of his vision problems, Spike figured out where Pearl’s treats were. 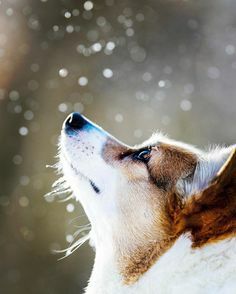 The Corgi nose always knows! 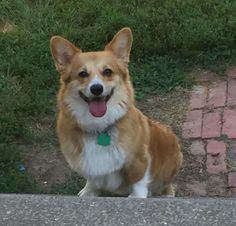 He’s a character (what Corgi isn’t?) whose love of chewing on hooves and such promptly led him to steal her stash of treasures. 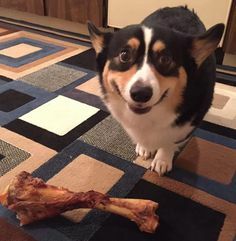 Tom found him lying down surrounded by a pile of seventeen bones and chew hooves! Turns out he also loves ear scritches and belly rubs, and his favorite treat is celery (he can’t have other treats because of his diabetes). Despite this, Pearl elected herself Spike’s seeing-eye guide and showed him around. 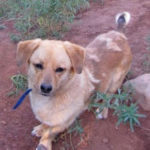 Because of his cataracts, Spike got upset and barked when people or other dogs approached him, as he adjusted to yet another home. The family knew those cataracts really did have to go! 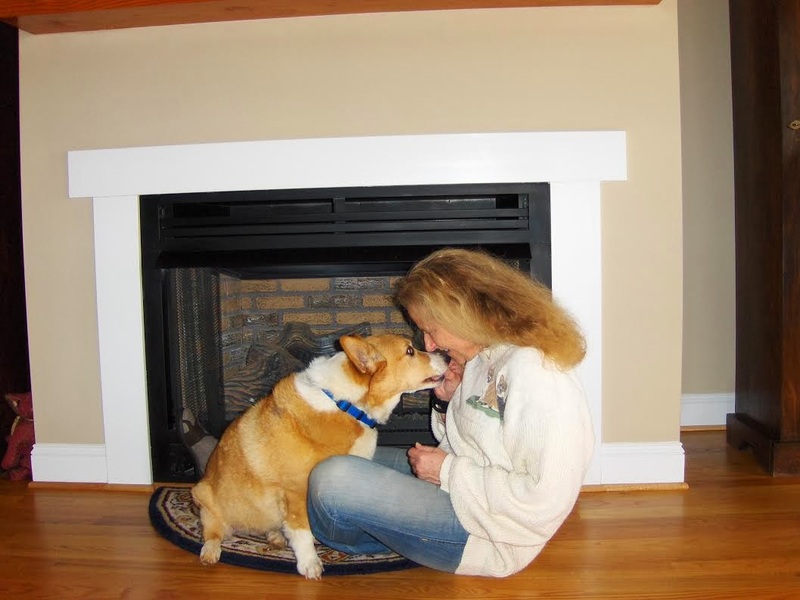 Kathy and Tom researched vets who could give Spike his sight back. 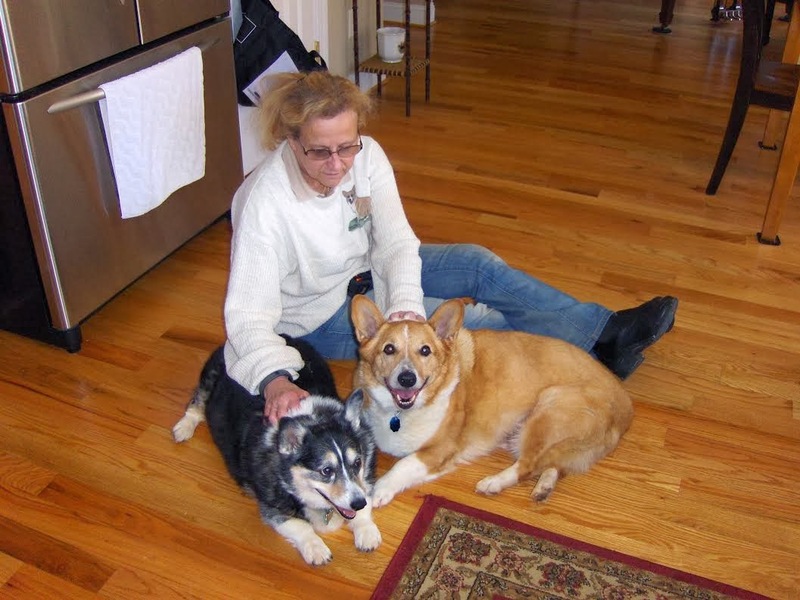 They worked closely with their local vet practice, Bonnie Brea Veterinary Hospital, to get their new Corgi’s diabetes under control. Next it was time to find a vet to fix Spike’s cataracts. And they found a wonderful team at Carolina Veterinary Specialists to do his surgery. So off they went. 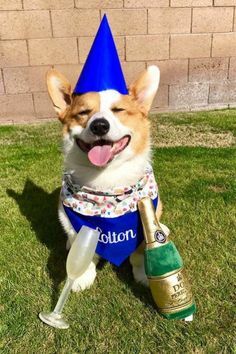 Spike’s big day finally arrived! He met with his doctor for a pre-surgical consult. After a successful surgery, Spike saw a dog in the mirror that evening; he saw himself. For the first time in ages! Kathy says the change in his face was amazing. Spike spoke with an animal communicator a couple of days after his surgery, and told her how amazed he was at all the bright color and the light in the house. Spike spends lots of time gazing out the window at his new world. He has two wooded acres to hike and enjoy. 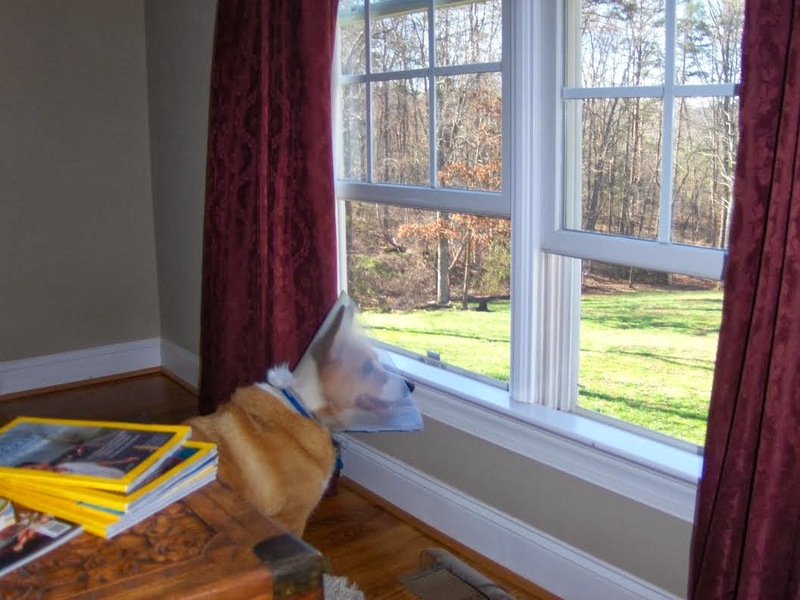 And when he’s not looking out the window he’s figured out how to use his “Cone of Shame” to scoop up his bones and chew hooves. He adores his da Tom. When he hears his voice, he comes running! The total costs for Spikes surgery came to over $4,000. 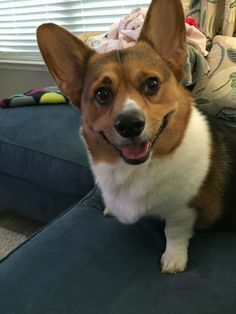 The Daily Corgi facebook page community and Corgi Nation have already helped us raise over $2,000 towards that goal. If you would like to donate, you still can. 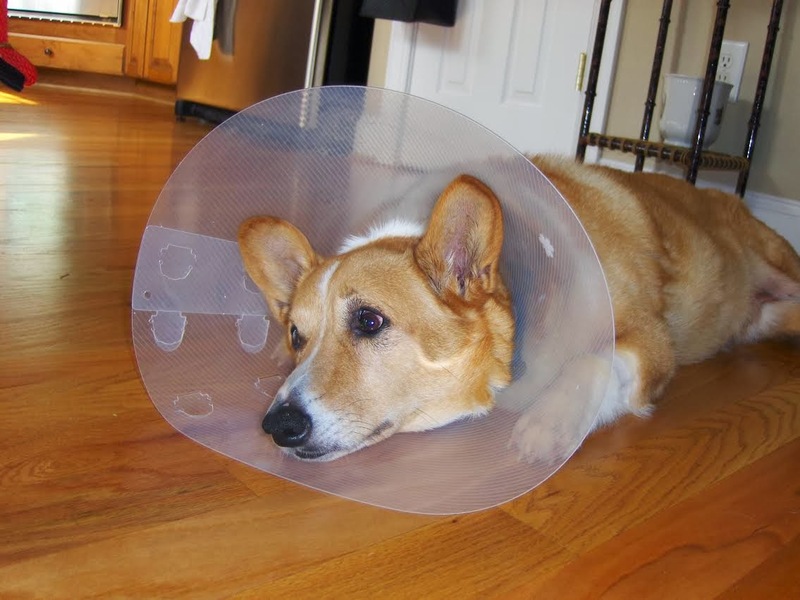 The vet WILL accept payments by credit card, including those made by telephone. They will also accept checks mailed directly to them. Callers can contact Ashley Maness at 704 504-9608. Once again, please request that she the credit “Spike Madden” account. Email Ashley at amaness@carolinavet.com with any questions. Spike has his forever home. And his bright eyes back. And the love of his new mum, da, and sister Pearl. 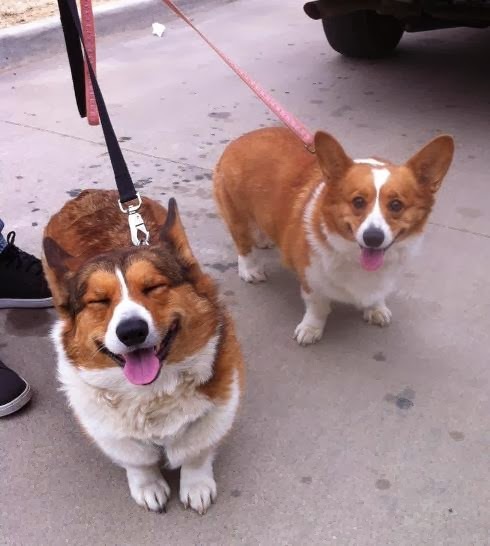 And, of course, the Corgi Nation! Thursday Adoptables: Bully and Doty — Home At Last! 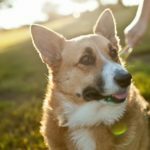 Top Ten Reasons Why People Foster #Corgis! 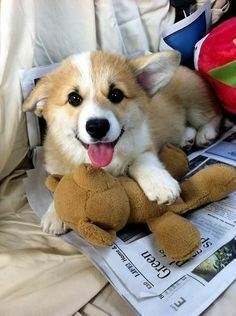 I'm so happy for Spike! He got both his sight and a family. I love the story of Bully and Doty and hope they find their new forever home as well. What a very sweet pair they make. Oh, my, what a wonderful story. And I expect Bully and Doty will have a home in no time. What a wonderful story! 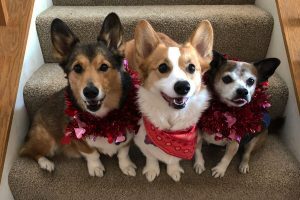 Im glad that they are all happy!